It’s official, Girlie is now a snaggletooth. 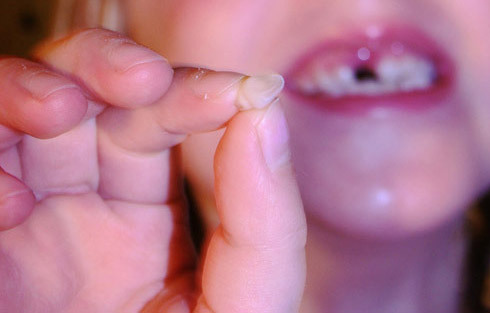 She lost her first upper tooth. It’s been wiggly for about 2 months and really, really wiggly for about 2 weeks. It’s been all the talk around here, from having to cut her food into bite-sized pieces to Doodle wanting to wiggle it (and her letting him most of the time). After much twisting, pulling, pushing and prodding, it finally came out. 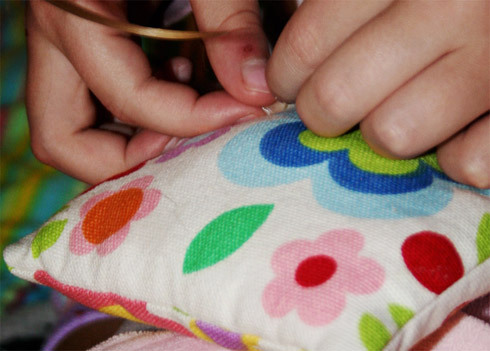 She has her own tooth pillow that I made for her, and as she put the tooth in it, she asked me “Mommy, how much do you think the tooth fairy is going to leave? A dollar? That’d be nice” In all honesty, this fairy will probably give her more than a few coins. 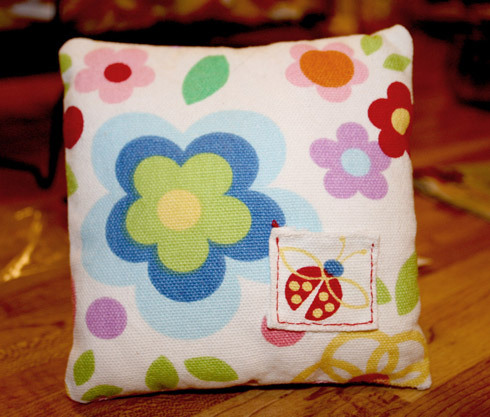 This entry was posted in loving and tagged lost tooth, tooth pillow by sonja. Bookmark the permalink.